The innovative accessory MPP300, used together with SOLAR300N or SOLAR I-V, allows measuring and recording the main parameters which characterize single-phase and three-phase, single-string and multi-string (up to three strings) photovoltaic systems. MPP300 is perfect for use in systems with three-MPPT three-phase inverter and in three-phase systems provided with three single-phase inverters. 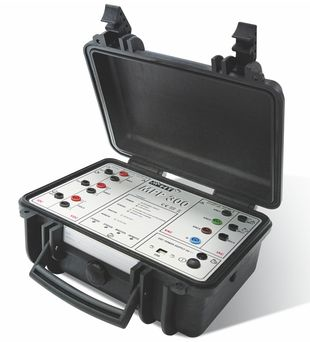 MPP300 is provided with a practical anti-shock “field” case, lightweight and small in size. The front panel carries the LEDs for operating information and the DC and AC inputs for upstream and downstream connection of the inverter(s). MPP300 interfaces with SOLAR300N via USB connection and SOLAR I-V via wireless connection. SOLAR300N and SOLAR I-V are used for MPP300 settings, to start/stop recording electrical and environmental parameters and to enable the download of the recorded values.